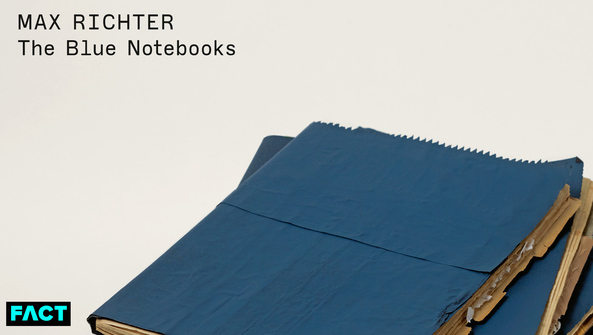 Max Richter has announced a new reissue of his masterpiece The Blue Notebooks in honor of the album's 15th anniversary via Deutsche Grammophon. The reissue is available in a standard 2xCD or 2xLP edition with the full album and a second disk including live recordings, remixes by Jlin and Konx-Om-Pax, as well as an unreleased recording titled ‘A Catalogue Of Afternoons'. A "super deluxe" 2xCD hardcover edition includes a real notebook and a brand new track titled ‘Cypher'. Released in 2004, the album was written and recorded in 2003 in response to the US invasion of Iraq. It's become one of the most iconic pieces of classical and protest music of the 21st century and appeared in films such as Arrival, Shutter Island and Waltz With Bashir.